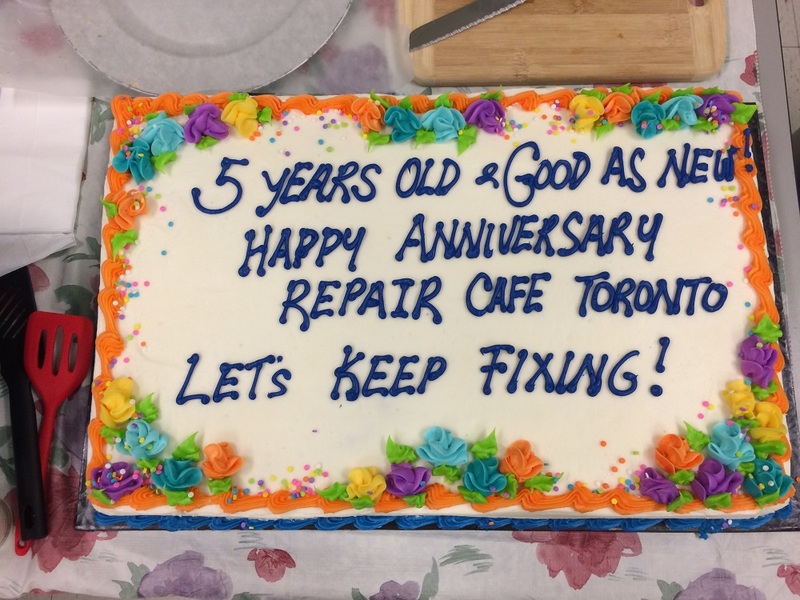 Repair Café Celebrates Our 5th Anniversary! 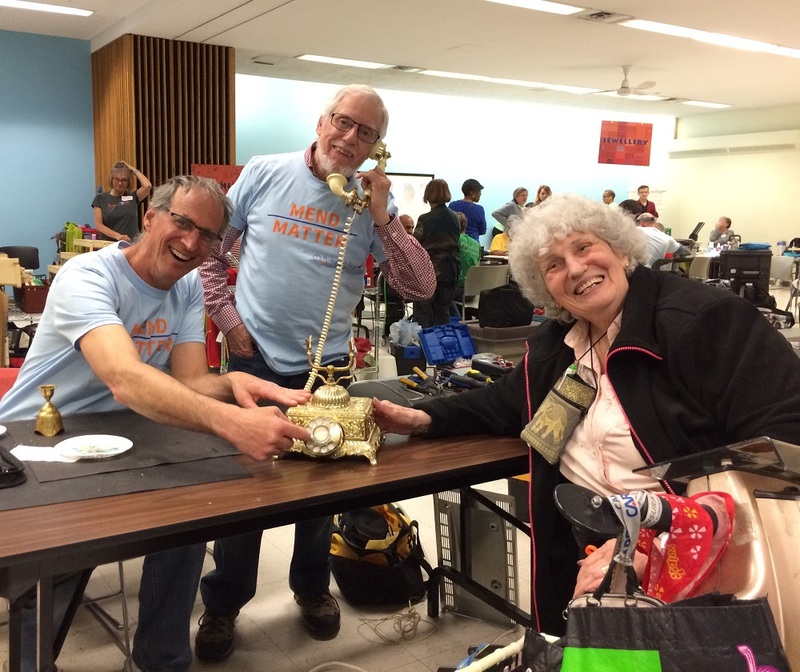 On Saturday, May 12, the Repair Café team visited Parkdale Toronto Library for our 55th monthly event. 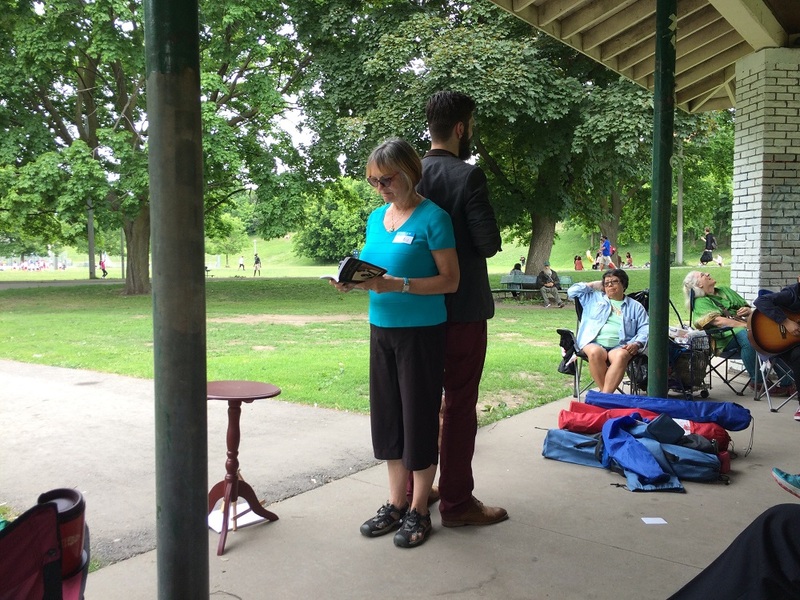 This event was part of Spring Into Parkdale Festival and Zero Waste Fair. 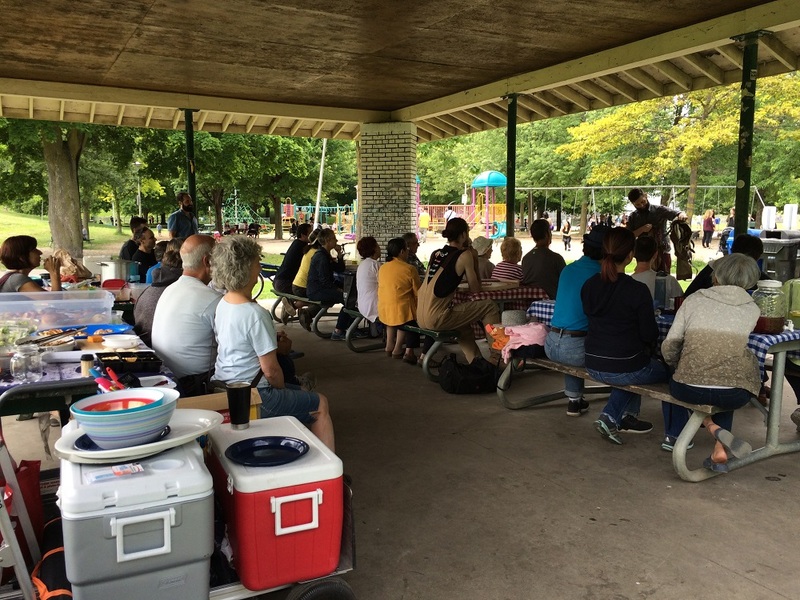 Thanks to the wonderful work of our volunteers, it was another great success. Everyone enjoyed the terrific energy of the event. 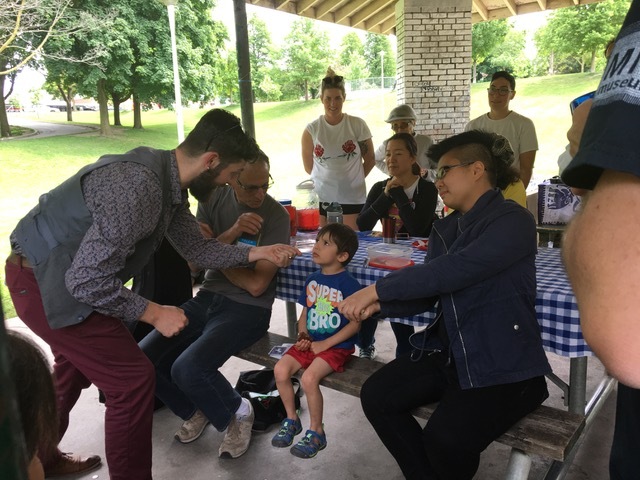 This past year, we continued to collaborate with various local organizations, from the Toronto Public Library branches to community groups, such as Evergreen and Harbourfront Art Gallery. 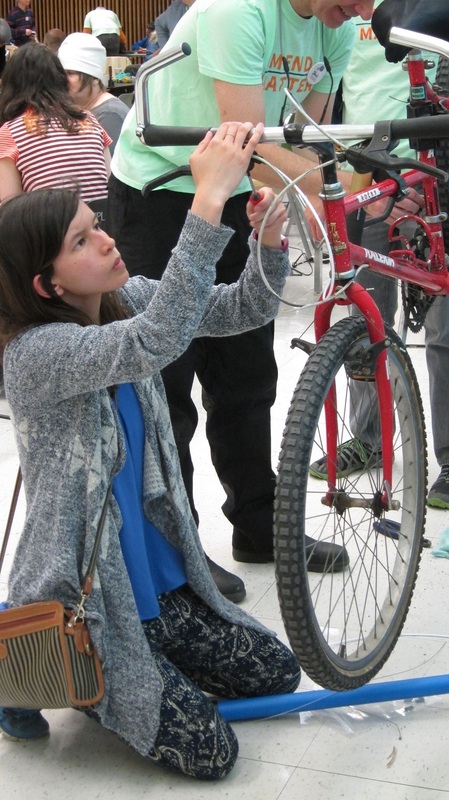 We have been working with school groups and also joined the EcoSchools Conference earlier this year. 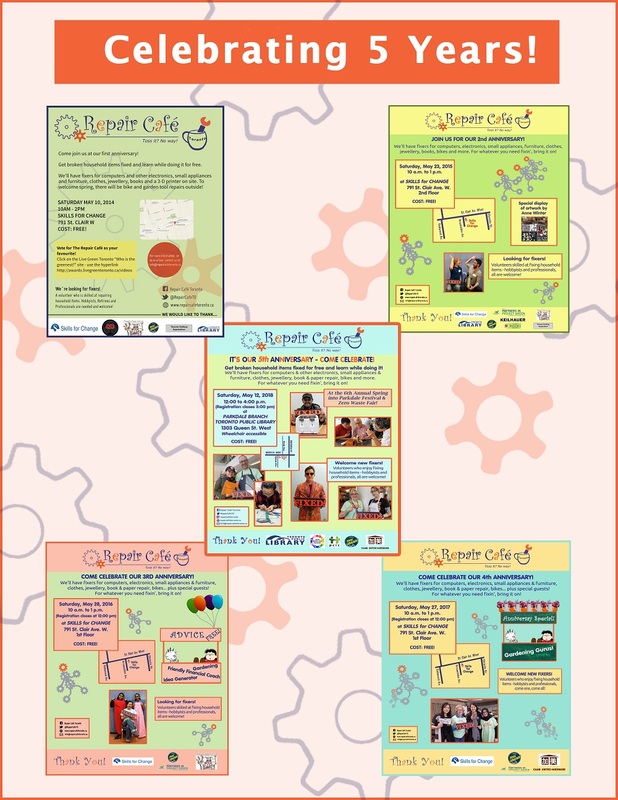 We are glad to have helped the startup of other repair cafés, including York Region, OCAD University, and others. 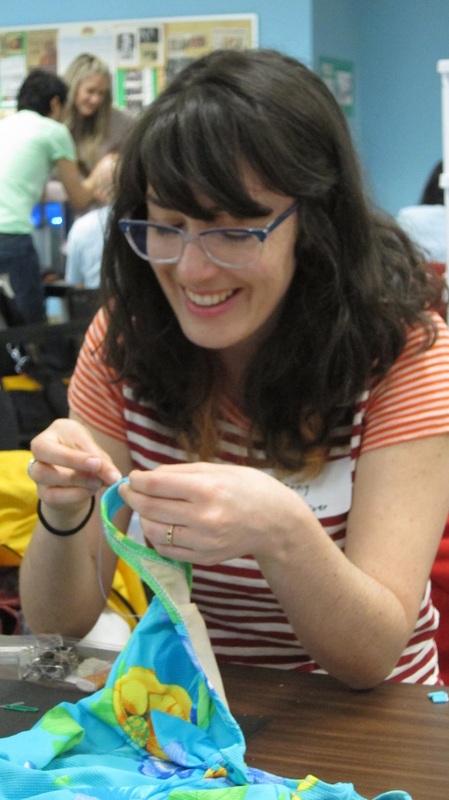 Part of the magic of Repair Café is its rejuvenating power. It is a place where broken items get their life extended. 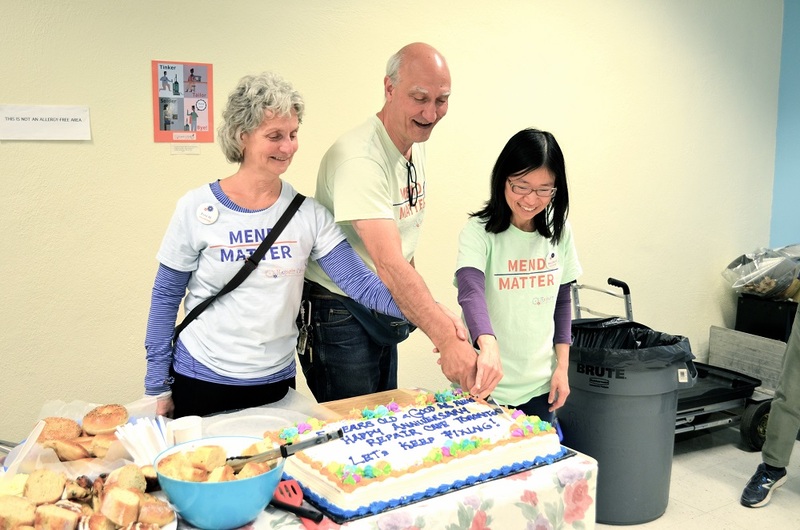 Repair Café is also a place where people connect with each other, restore themselves, feel empowered. 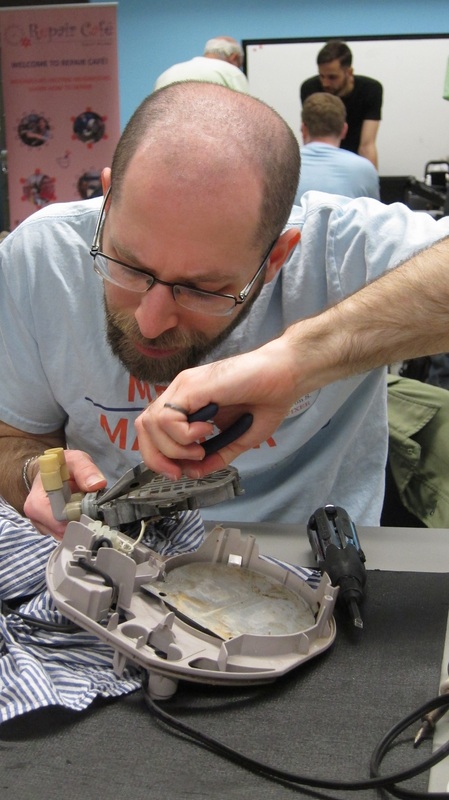 This Repair Café magic is similar to what nature gives us. 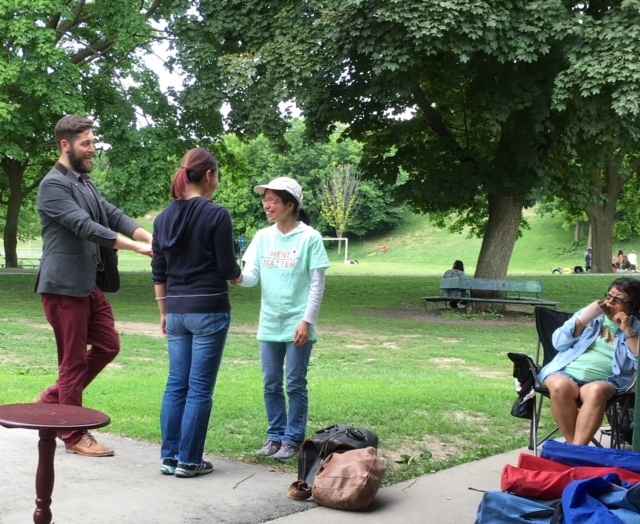 That was why we offered our 5th anniversary picnic at Christie Pits Park. 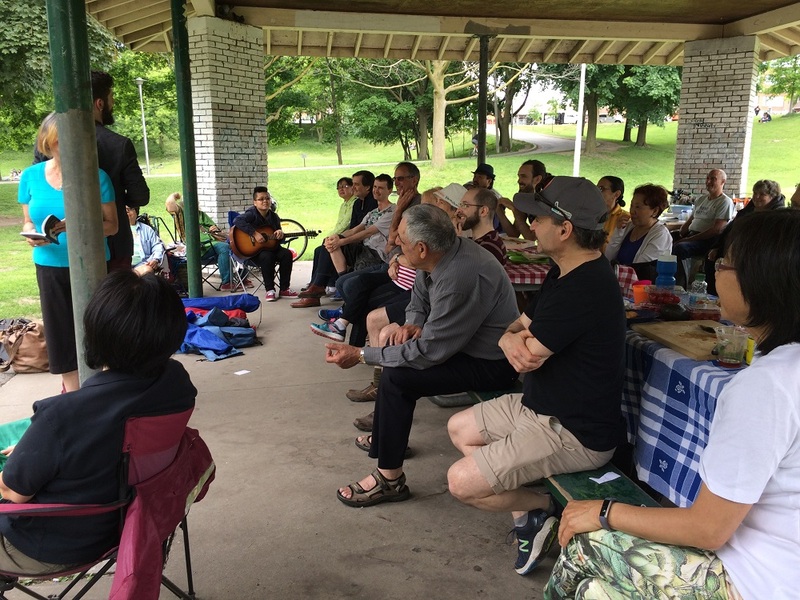 We had a great turnout on Saturday June 9 with volunteers bringing their family and friends. 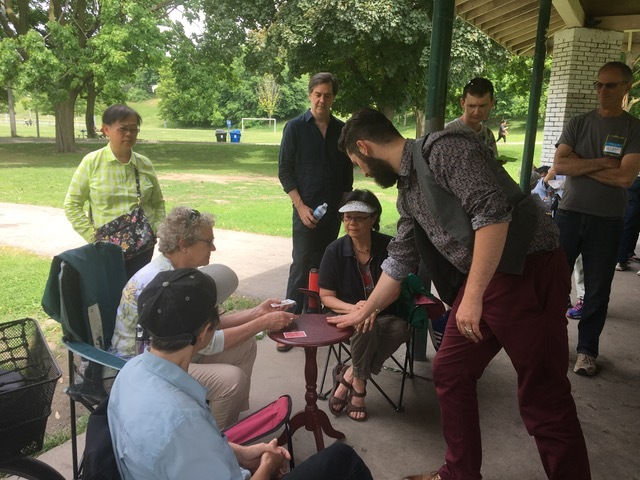 One of the highlights was the captivating performance of the magician, Lukas Stark. 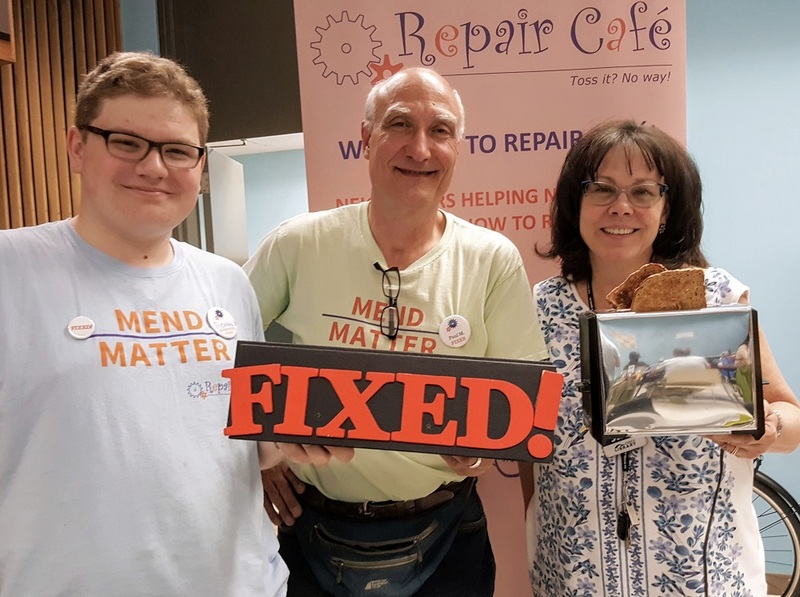 Looking ahead, Repair Café will continue to build the repair culture in Toronto and beyond. We invite more people and organizations to join us in our initiative to build a sustainable society! 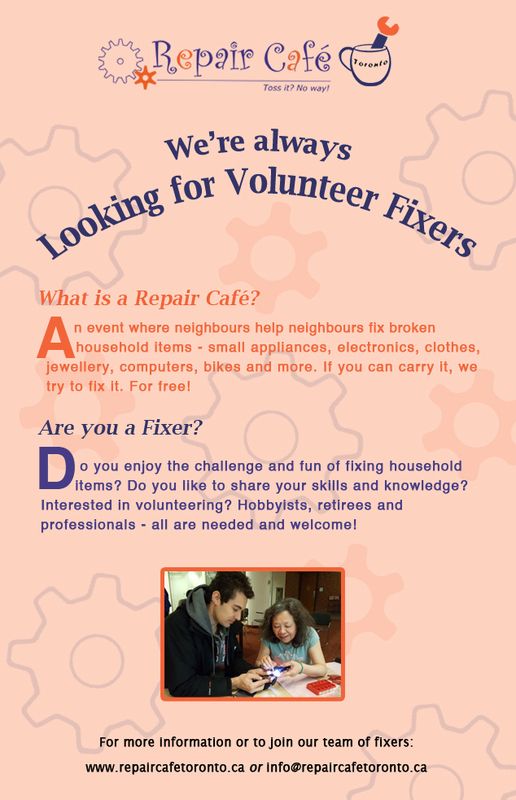 Our next Repair Café will be held at Flemingdon Park Library on Saturday, June 16. For details, please visit the Upcoming Events page.